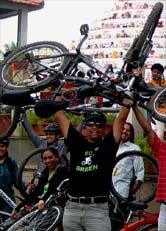 GoGreen's endurance ride towards Chikka Tirupathi 25Dec11 - GGI-Group size: 4000+ Professionals, Increasing on day to day basis, Come & join us 2 serve Mother Nature. 1) Pls carry adequate water & sleep 3 hrs earlier to the day of journey (say by 8:00pm). 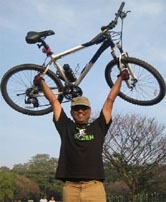 2) Please Lock u’r Cycles while u Park preferably with u’r fellow GGI’s Cycle. 3) Carry a puntcher kit along with a spare tube + hand pump. 4) Carry few Banana's, Dates & Resins..
Venue & Central meeting/Starting point : Silk board junction. 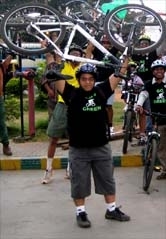 Pls register u'r self to participate for GoGreen's Mega Campaign Ride.